*Have you registered for Visit NC 365 yet? Have you registered for Visit NC 365 yet? Registration is open for the Visit NC 365 Conference, where stimulating keynote speakers and sessions will offer new ideas and inspirations. 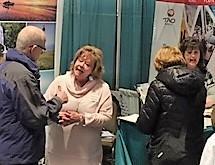 The Visit NC 365 Conference, named for the year-round tourism industry across the state, brings together more than 500 of the state's tourism industry leaders during this three-day premier travel industry event. On Feb. 7, tourism-related businesses in Edenton and Chowan County - plus the surrounding counties - will have an opportunity to work with Visit North Carolina staff to learn about its research, development and marketing services, and discuss best practices in reaching travelers, the media and increasing tourism visitation and spending. Visit North Carolina's Tourism Resource Assistance Center (TRAC) is a community-based training program designed to help small tourism-related businesses. TRAC will be held 10 a.m. - 2 p.m. at the 1767 Chowan County Courthouse, 117 E. King Street in Edenton. 900 potential retirees from the region who were interested in exploring opportunities and conversing with exhibitors from across the Southeast. Attendees talked with experts from towns and community developers to gain insights and get answers to help plan, design and enjoy their retirement. North Carolina has consistently been one of the most requested states by the attendees. Visit North Carolina attended the Expo to continue its efforts to promote the N.C. Certified Retirement Community Program, which consists of Asheboro, Eden, Edenton, Elizabeth City, Jamestown/High Point, Laurinburg, Lenoir, Lumberton, Marion, Mount Airy, New Bern, Pittsboro, Reidsville, Roanoke Rapids, Sanford, Tarboro, Washington, and Winterville. For more information about the Certified Retirement Community Program or Visit North Carolina's marketing initiatives for retirement relocation, contact André Nabors at (919) 447-7771. Visit NC, N.C. Dept. of Natural & Cultural Resources, African America Heritage Commission and International Civil Rights Center & Museum are in the process of gathering inventory for a potential N.C. Civil Rights Trail. The group is collecting as many potential locations and stories as possible by Jan. 31. For more information about submitting sites, stories or folklore, please contact André Nabors at (919) 447-7771. Always in Season will have its world premiere next week at the Sundance Film Festival in Utah. The documentary, from director, producer and Wilmington native Jacqueline Olive, will be part of the prestigious festival's U.S. Documentary Competition. The project was the recipient of a 2016 grant from the Wilmington-based Cucalorus Foundation "Filmed in NC" fund, for which the North Carolina Film Office is a primary sponsor. This project marks the third straight year a North Carolina based project has debuted at the festival (Shots Fired in 2017, American Animals in 2018) and is the first N.C.-filmed documentary to be selected since 2014's Private Violence. On a related note, the University of North Carolina School of the Arts, in Winston-Salem, has ties to both the Sundance Film Festival and the alternative Slamdance Festival. UNCSA alumni worked on 17 films that will be screened - 15 films were selected for Sundance and two films chosen for Slamdance. Both festivals take place in Park City, Utah - Sundance Jan. 24-Feb. 3 and Slamdance Jan. 25-31. The N.C. Sports Hall of Fame has announced its 2019 induction class. The 12 new members, listed alphabetically, are Ernie Barnes, Willie Bradshaw, Eddie Bridges, Rod Broadway, Gene Corrigan, Dale Earnhardt Jr., Steve Gabriel, Dee Kantner, Davis Love III, Paul Miller, Neill McGreachy, and Thell Overman. They will be enshrined during the 56th annual induction banquet on May 3 in Raleigh. Delta Air Lines is adding two new flights to Raleigh/Durham (RDU) from Pittsburgh and New Orleans. The daily flight from Pittsburgh and the Saturday & Sunday flight from New Orleans are both slated to start June 8. The Washington Post highlighted Raleigh in its "You're Going Where?" monthly travel segment. The writer noted, in part, "As I explored, I found a progressive city... a place full of public art and bike paths and a university-inspired hub of innovation and design.... After three days, I wanted more Raleigh. I stayed an extra night and then an extra hour the next morning." The writer covered "Local faves" for where to eat, shop and stay. 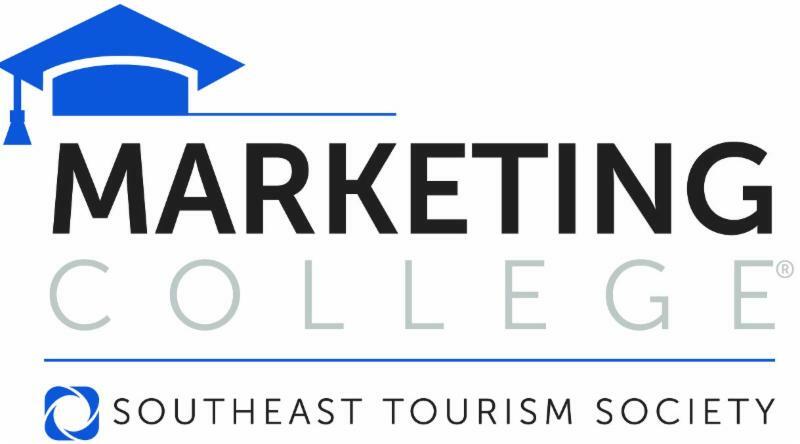 The deadline for applications for the Miles Partnership scholarship program to the Southeast Tourism Society Marketing College is Feb. 1. Once again, Miles will award one scholarship to one tourism industry professional working in each of the 12 STS member states. (Alabama, Arkansas, Florida, Georgia, Kentucky, Louisiana, Mississippi, North Carolina, South Carolina, Tennessee, Virginia and West Virginia). According to the EPA, heating and cooling accounts for 46 percent of energy used by a typical hotel or many attractions. Annual costs average about $1.05 per square foot of space for electricity and $0.25 for natural gas. While maintaining guests' thermal comfort is of the upmost importance, putting an HVAC system on overdrive to compensate for a drafty building not only greatly increases costs, but the results may give guests cold hands and feet in the winter and discomfort in the summer. Leaks in a building's envelope are most often found around windows and doors but they can be found around electric outlets and poorly designed remodeling projects. There are several tools that energy efficiency professionals can use to identify potential envelope leaks in a building, such as a blower door and infrared imaging, but many leaks can be identified simply by walking through the property and feeling for drafts. And in many cases, repairing leaky windows and doors is as simple as re-caulking or replacing worn seals. For more information on improving a building's envelope and for technical assistance, visit Waste Reduction Partners, or contact NC GreenTravel Initiative Manager Tom Rhodes at (919) 707-8140. For the week of Jan. 24, North Carolina Weekend continues the second part of its new format: running eight episodes, one each week, and then repeating those episodes for the following eight weeks. So this week's episode is a repeat of the one that originally aired Nov. 22, spotlighting Copa, a Cuban restaurant in Durham: the Billy Graham Library in Charlotte; Part 2 of a story on the Surry Winter Wine Passport in Mount Airy and Elkin; and La Farm Bakery in Cary. (Check local listings; segments are subject to change.) North Carolina Weekend is underwritten by Visit North Carolina. In addition, UNC-TV has recent editions of North Carolina Weekend available online. Visitor expenditures in North Carolina generated more than 225,000 jobs in 2017, up 2.6 percent from 2016. These jobs composed 5.3 percent of total state non-agricultural employment in 2017. For more North Carolina visitor spending information, visit the Economic Impact Studies, or contact Visit NC's Marlise Taylor at (919) 447-7748. Jan. 25-29 - ABA Marketplace, Louisville, Ky.